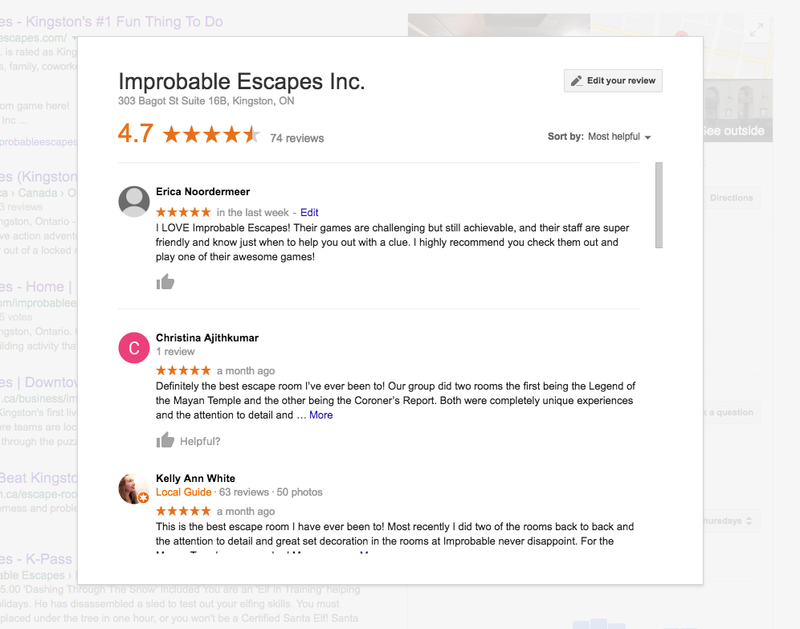 You must be logged into your Google Account to leave a review – and it will be posted publicly. 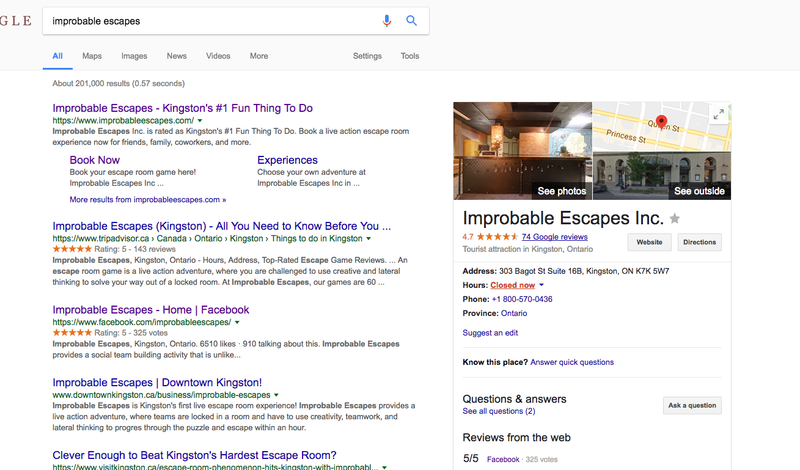 Search for ‘Improbable Escapes’ on Google – or link guests to the search directly. 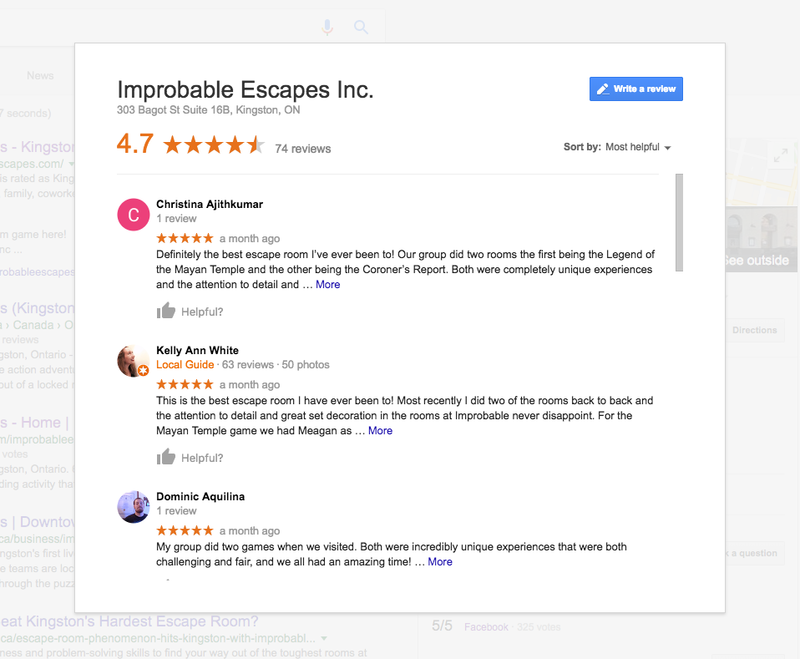 Click on the “74 Google Reviews” to bring up all the reviews for Improbable Escapes. The guest gets to select a number of stars out of 5, and write a few phrases. They can also attach a photo if they want. The post will be linked to their Google Account and posted publicly. And look! There it is! 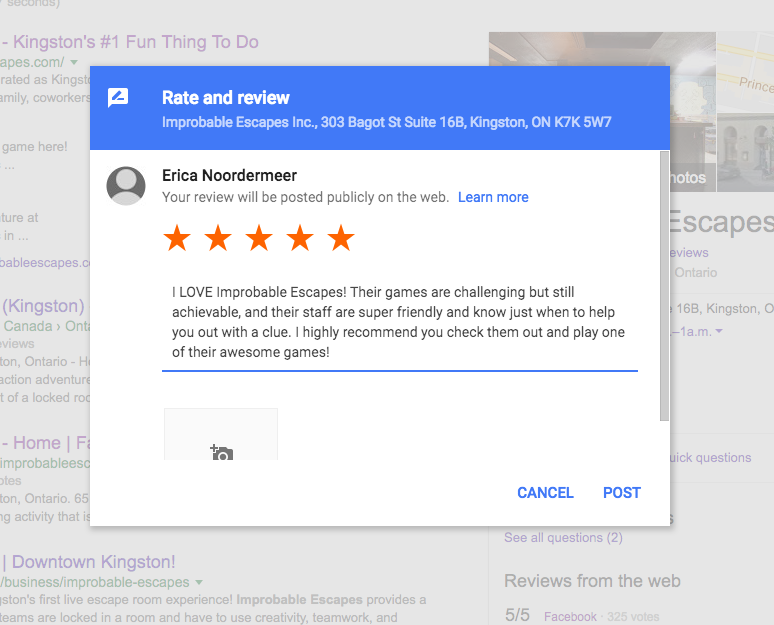 Took me less than 30 seconds to write the review, just think about how nice it would be if more of your guests would write a review for you!